Home › Investing › What Are The 7 Best Robo Advisors? 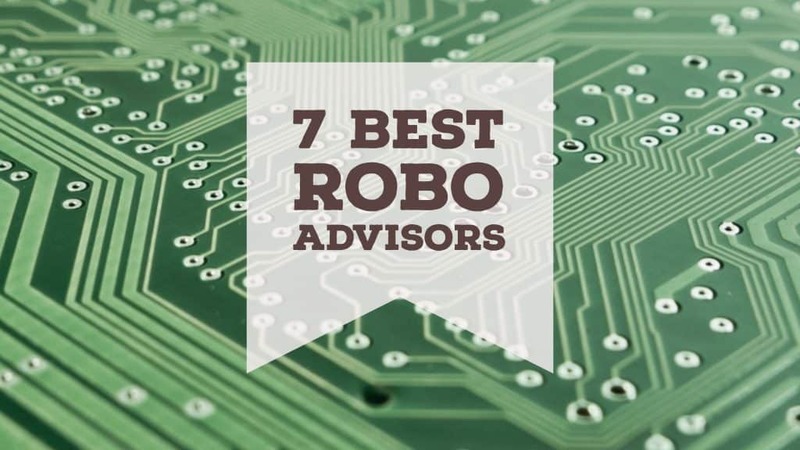 What Are The 7 Best Robo Advisors? Robo-advisors are a type of financial advisor who automatically manage your money by leveraging the power of technology to select investments for you that are designed to meet your financial goals, risk profile and time horizon. Before robo-advisors came along, you either had to pay high fees to a human financial advisor to manage your money or spend countless hours researching investments that you made on your own. In 2008, the first game-changing robo-advisors came on the scene and, since then, they have gathered billions of dollars in assets under management because of their low management fees and expense ratios. Many robo-advisors optimize after-tax returns, offer excellent mobile apps, tools and calculators, and even make social impact investing easy. So with a myriad of robo-advisor choices available, which are the best robo-advisors? Betterment wins the top prize for best overall robo-advisor with its extensive range of tools, benefits and services. Low fees, access to human advice, a clear focus on tax-efficient investing, and easy access to socially responsible investing are just a handful of the reasons why Betterment is worth exploring for any serious-minded investor with an eye on retirement. Betterment has two tiers of service, Digital and Premium. Betterment Digital is a purely automated investment management service while Betterment Premium includes human advice for a higher fee. Unlike most traditional financial advisors, who often charge north of 1% annually to manage your money, Betterment Digital is available for just 0.25% while Betterment Premium costs 0.40% and includes unlimited access to Chartered Financial Professionals. What you really care about at the end of the day is after-tax returns and Betterment pays close attention to tax-efficiency in two ways: tax-loss harvesting and tax-coordinated portfolios. Tax-loss harvesting counts losing positions against winners to lower your overall tax bill while tax-coordinated portfolios is the method by which tax-inefficient assets are placed in tax-efficient accounts, such as an IRA, while tax-efficient assets are placed in less tax-efficient accounts. Betterment claims these allocations can boost your returns over the long-term. At around the same time Betterment launched in 2008, Wealthfront was founded also and the two companies have competed vigorously to win clients in the intervening years. Unlike Betterment, which added an overlay of human advice to its service offerings in recent years, Wealthfront has stayed true to its roots by sticking with a purely digital money management solution. You need to deposit just $500 to get started at Wealthfront, which will manage your money thereafter at an annual cost of 0.25% of assets under management. A nice bonus at Wealthfront is you get your first $10,000 managed free. Where Wealthfront really shines is its focus on tax-loss harvesting. It uses a method called Direct Indexing to lower your capital gains tax liabilities by investing in a range of individual securities that mimic a diversified portfolio of index funds. This approach provides greater flexibility to sell losing positions against winners and replaces sold securities with similar ones to ensure portfolios remain diversified. Betterment and Wealthfront have enjoyed so much success that big name financial companies, such as Schwab, Fidelity and Vanguard, have launched their own robo-advisors. Schwab stands out from the pack with its robo-advisor service, called Schwab Intelligent Portfolios. Schwab has a unique advantage compared to most of its rivals. Unlike other robo-advisors, who frequently use Vanguard funds when building client portfolios, Schwab has the luxury of constructing portfolios with its own proprietary index funds. This allows Schwab to make money from expense ratios – the fees charged for managing and operating the index funds. Because Schwab can make money from expense ratios, it can drastically lower its management fees all the way to zero! With no management fees and a reputation as one of the best financial firms in the industry, Schwab Intelligent Portfolios has amassed billions of dollars of assets; it even beat both Betterment and Wealthfront across the line to the first $10 billion in managed assets. Blooom is a different kind of robo-advisor service because it focuses heavily on retirement portfolios. If you have a 401(k), Blooom links to it and for a low monthly fee will optimize the allocation of your holdings. For most individuals, 401(k) portfolios are built haphazardly. You generally have a limited number of funds from which to choose and it is hard to know how much money you should put in each to align with your retirement objectives and risk profile. Plus, it’s difficult to know which funds are charging high fees without rolling up your sleeves and spending a lot of time comparing expense ratios. That’s where Blooom comes in to save you time and possibly money too. If you have just a few thousand dollars in your 401(k) then Blooom may end up costing you quite a bit on a percentage basis each year, but anything more than that and the $10 monthly fee is a real bargain. Personal Capital is the white-glove robo-advisor service. Management fees are higher than at many other robo-advisors but you also enjoy greater perks, such as a dedicated human financial advisor. If you can pony up the $100,000 minimum to get started with Personal Capital and are willing to pay management fees of 0.89% up to the first million dollars deposited, you will have your very own financial advisor who can look holistically at all your financial accounts. So, you get the benefits of a technology-powered automated investment management solution as well as the hand-holding of human financial experts. Personal Capital also provides one of the best mobile apps in the industry; it enables you to track spending, income, investments, and net worth. Best of all, it is free to all users – not just clients. Simply link your credit card, bank and investment accounts, and Personal Capital provides a holistic view of your financial situation. Vanguard is perhaps best known for pioneering low cost index funds and so it’s no surprise that its robo-advisor service, Vanguard Personal Advisor Services, competes well with Betterment and Wealthfront on fee charges. For just 0.30% annually, Vanguard will manage your money digitally and make a team of live advisors accessible to you. How does Vanguard make human advice available to you at a cost so much lower than most other robo-advisors? Like Schwab, Vanguard has its own proprietary index funds, and earns revenues from fees charged when it places those funds in your portfolios. So, Vanguard gets to “double-dip” by making money from management fees and expense ratios. Vanguard imposes a $50,000 account minimum, which is a significantly higher hurdle to get off the starting blocks than you will find at Betterment and Wealthfront. But for those who meet the eligibility requirements, it’s hard to beat the value proposition Vanguard offers: low management fees, low expense ratios and access to human advice. Like other industry goliaths, Fidelity entered the robo-advisor space after seeing the enormous success enjoyed by industry pioneers: Betterment, Wealthfront and Personal Capital. Fidelity Go is the robo-advisor from Fidelity and it is unique in combining management fees and expense ratios in one overall fee. Retirement accounts incur total fees of just 0.35% annually while taxable accounts are charged 0.45% of assets each year. Fidelity Go has a $5,000 account minimum and does not currently provide tax-loss harvesting services, so it ranks lower on the list of best robo-advisors but it is well worth exploring for fee-conscious investors. Some highlights at Fidelity Go include automatic portfolio rebalancing so no single holding dominates a portfolio’s allocation. And as expected from an industry bellwether, Fidelity Go caters to a wide range of account types, including traditional, Roth, SEP, and rollover IRAs. >> What Are The Best Investment Apps? ‹ What Are The Best Money Saving Apps?